This hearty vegan dish is packed with a ton of flavour and is full of healthy ingredients. 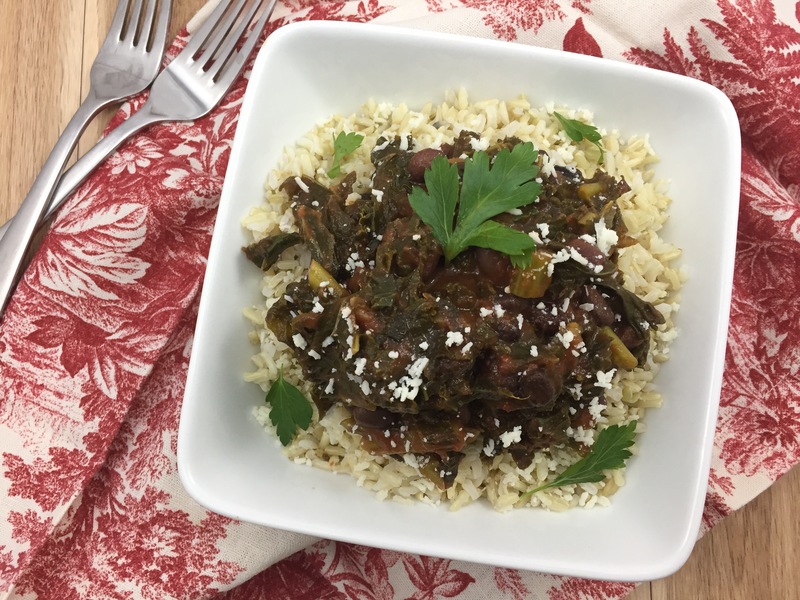 Kale and black beans stewed in tomato sauce are a winning combination, and the perfect cozy meal for a cold winter’s day. I love kale chips – so much so that for a few years they were my only form of kale consumption. There’s just something about that satisfying crunch that makes kale chips so appealing – and of course, delicious too. Times have changed, and so has my palate and I’ve discovered so many new ways to incorporate kale into my vegetarian recipes. I’ve learned that kale is such a versatile green, and that confining it to a baking sheet and baking it to a crisp is not the only cooking method to do it justice. Kale is unique in its flavour and texture – it has a much heartier texture than other greens like spinach or Swiss chard, plus it has a much more distinct flavour, which is the reason why it’s my top choice to add to soups and stews, as well as many other dishes. Braising kale in tomato sauce? Now that’s an cooking method that can give kale chips a run for their money! I feel somewhat reluctant calling this a recipe, because in all honesty, there wasn’t much thought put into this dish. It was one of my typical ‘I’ll just throw some ingredients together and see if they work’ concoctions, which not only happened to turn out delicious, but was also the beginning of my love affair with kale and beans – of all things! These two ingredients, which tend to be favoured in vegan cuisine for their versatility, are the perfect culinary match – kale with its somewhat bitter flavour and chewy consistency and black beans with their rich and creamy texture and mild flavour. I’m fully aware that unless you are a kale and black bean junkie like me, the prospect of whipping up some sautéed greens and beans might not sound very appealing, but I implore you to step out of your comfort zone (and into the vegan zone?) 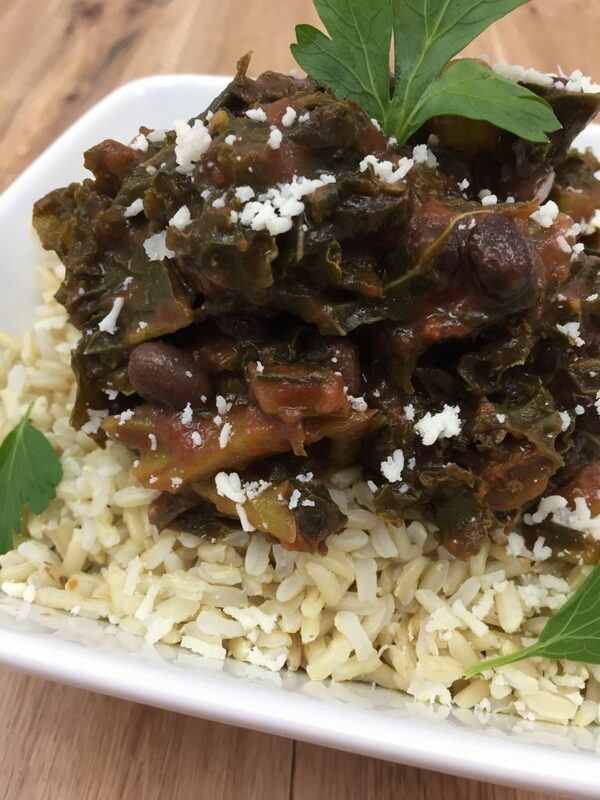 and try these kale and black beans sautéed in tomato sauce. They’re packed with flavour and they’re also the perfect vegan antidote to these cold winter days. Heat the oil in a large saucepan on medium heat for 1-2 minutes. Add the garlic and capers and sauté for 2-3 minutes or until the garlic is lightly browned. Add the chopped kale, water, tomato puree, and tomato paste to the pan and stir to combine. Cover with a lid, and cook for 20-25 minutes, stirring occasionally, until the kale is tender and wilted. Add the beans and continue to cook (uncovered) for another 5 minutes. Season with salt and pepper according to taste, and garnish with freshly chopped parsley. Note: If the kale is not yet tender after 25 minutes, add 2-3 tablespoons of water and cover for another minute or two, and continue to do so until the kale is fully wilted. Hi Lisa! This looks amazing! I can’t wait to try this. A few items in your recipe is a little confusing. Could you help clarify? 1) the recipe description mentions black beans, however, the ingredients lists kidney beans, did you mean black beans instead? ; 2) Tomato puree is listed twice in the ingredients: 1 jar of tomato puree; then further down 1 tsp of tomato puree. The instructions mentions tomato puree and tomato paste, so I suspect the 1 tsp is refers to tomato paste, yes? Also, how much/large of a jar of tomato puree to use? ; 3) when do I add the optional 1/2 tsp sugar, if I wish to include it? When I add in the black beans? Thanks for the help. So sorry about this! I made some changes to the recipe. You can add the sugar when you add the tomato puree (and yes, the second was paste!). I’ve made this recipe so many times and often alternate between black beans and kidney beans. You could add white beans, navy beans…any beans! Hope this helps! Thanks so much for the feedback and bringing my attention the errors! HI – I’ve read the actual recipe throu twice, but don’t see when you add the beans? 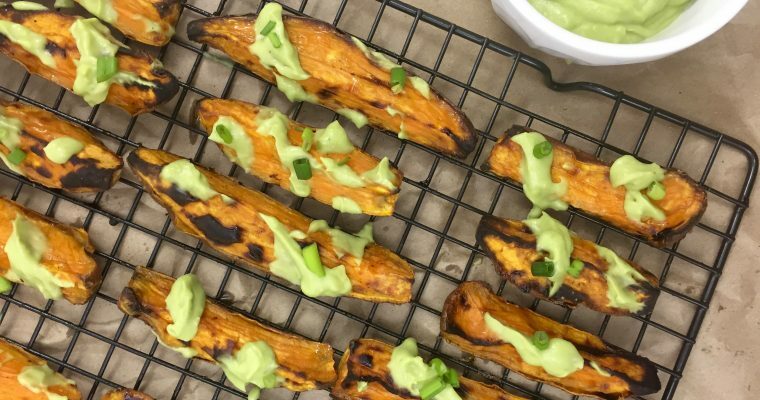 This vegan recipe is not only looks good but also sounds and taste good too. My doctor recommend me to eat healthy food because I am ttc for 6 months now. Im glad I came across to your vegan recipesso many choices I can try. For sure I would love this simple Kale and black bean stewed. Pregnant or not, it’s always a good idea to maintain a healthy lifestyle however, many doctors and studies are showing that clean eating has such a positive effect on our bodies! This looks and sounds great…with 2 of my favorite foods included ! I am always up for trying new recipes and I am definitely making this! My thow-it-all-together dishes usually end up better than what I try to make a recipe. 🙂 This looks so good, and I love that it is getting in your vegetables and healthy fiber too! Exactly! And those are the ones I’m never prepared to take pictures of to post on the Blog!! I am always looking for fun and new recipes to try with my husband. Your kale and black beans stewed in tomato sauce looks great. I think we will try it next week! What a great recipe to use Kale in. I would have never thought to do this. The only way I have had kale is in a smoothie and as kale chips. I will have to try this recipe. I think the whole family woudl enjoy it. I am a foodie, always in the lookout for new recipes to experiment with. 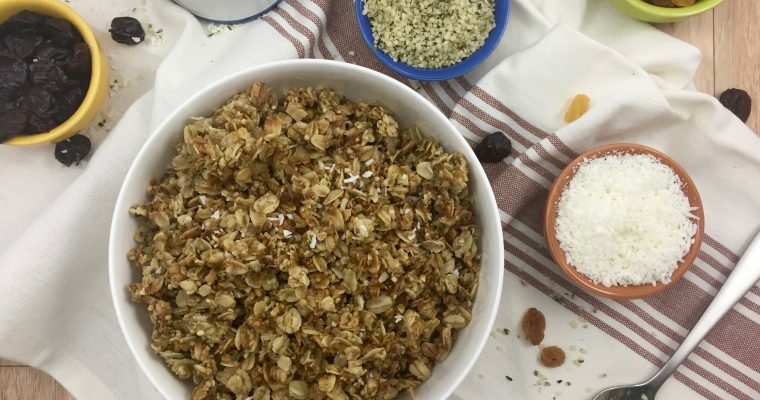 I have recently started experimenting with kale, I made kale chips (burned a few batches before getting the perfect one, but, hey, this is the joy of cooking) and I might give this recipe a try. Anything in tomato sauce screams my name. I’ve never had Kale before but this looks delicious! I eat kale in salads, but haven’t gotten around to trying out kale chips. I don’t think I’ve seen kale paired with black beans before. I need to tell my brother about it – he’s on this black bean and chicken kick lately. Yum! That looks really good! will definitely have to try this recipe over the weekend! This looks delicious! As soon as I saw it I was hoping it would be vegetarian and it is! Awesome 🙂 I love the taste of capers and I bet the capers and tomato puree make and flavorful combo! Ever since I started my plan of eating healthy, I’ve been on the search for great recipes to cook for my next days 😀 Thanks for this one! It looks easy to make too! This looks really appealing. I will admit, I’m not a kale person but I think I could eat it like this. I’m not vegetarian or vegan but we do a lot of meatless dishes just to expand our palate – plus I really LOVE black beans and rice. I’m adding this to my “meatless Monday” rotation. Kale is so yum! Thank you for this recipe! I am always looking for new recipes with kale. It is so healthy so I am down for any recipe. I eat an anti-inflammatory diet, and this looks like a great fit for me. I think I’d serve it with quinoa rather than rice though. My body doesn’t love rice as much as it loves quinoa, and I think it will taste really close. Looks delish! I love both, but yes, quinoa would be delicious since it has more flavour than rice!